Jack Teeling, founder of Teeling Whisky, talks about family tradition, and restarting the Dublin Whisky Industry. Hello Jack, thanks so much for taking the time for our interview. You are going through some really exciting times at the moment. The last Dublin Stills stopped running in 1976, what made you and Stephen decided to restart distilling and build a new distillery at this time? It was 1976 when the last Dublin distillery stills went cold and so began the decline of an industry long associated with my home town and the capital of Ireland. Our family are multi-generational Dub’s and for me it was the vision of reviving our old family trademark and going right back to our roots in the Liberties area of Dublin that was the driver for us getting back into the industry so soon after Cooley was sold to Beam. It makes me very proud to be able to bring something uniquely Dublin back to the fabric of Dublin society. The Teeling family have 230 years of experience in distilling, does that put a lot of pressure on you to make this successful? No I don’t see it as pressure but I see it as a blessing as it gives us the experience and provenance to build from. Our mantra is to be respectful to the history of Irish and Teeling whiskey but to be confident enough to be the drivers of the future of the category. What hurdles have you had to overcome since making the decision to build the Company again? Being the first Dublin distillery to go through a planning process and the overall challenge of bringing distilling back into an urban environment have been the biggest challenges so far. Has the previous fall of Irish Whiskey made you more cautious? No everything is cyclical and it is Irish whiskey turn to shine. It is my view that we are at the start of a long term up-trend for the category however we need to ensure that Irish whiskey has the breadth and choice whiskey drinkers of today are looking for. Why do you think Irish Whiskey had such a downturn? Mainly due to self-inflicted injuries based around the slow adoption of new technology, our War of Independence which starved us of the route to market of the British Empire and then Prohibition in our last large export market. This started the decline and this was reinforced by poor Government Policies and the fact there was a monopoly that controlled Irish whiskey during the 70’s and ‘80’s as we struggled to compete outside our domestic market against our Scottish neighbours. Are you confident that the Irish Whiskey industry will see the same success as both Scottish and World whisky? I don’t think Irish whiskey will be overtaking Scottish whiskey any time soon but I do feel that we can have a bigger slice of the overall whiskey pie. Irish whiskey has been growing for the last 10-20 years in the existing mature markets for whiskey such as the US and Continental Europe but is non-existent in the emerging markets so there is still plenty of other growth opportunities to tap into. Do you hope that the success of Teeling will encourage more Irish distilleries? We are hopefully forging the path for future new distilleries and independent Irish whiskey companies by showing if you create a high quality unique style of Irish whiskey that there is consumer and trade demand for it. How important to you is it that you are carry on family traditions? I think it is very important as they ground you but each new generation should be allowed and confident enough to put their own mark on things. Was it a conscious decision to build your new distillery so close to where Walter Teeling’s distillery stood? Yes this was at the heart of why we are back in Dublin so we can go right back to our roots. The distillery will be open to the public in 2015, do you anticipate many visitors? We are right in the heart of the city and just about 10 minutes’ walk from all the key tourist area’s so we expect to be able to tap into people’s interest in visiting a real distillery where they can meet real people making a real product. What are your hopes for the Distillery? That it will produce world class whiskey and allow us to be the leading force in Irish whiskey innovation now we control all aspects of production. What are your plans for the whisky itself, do you have a definite idea of the flavour profile? We have a range of different mash bills and spirit styles we want to create. We will be dedicating a certain percentage of production to trial new and novel recipes as well as trying to revive old traditional Dublin whiskey styles which are no longer available. Will you continue with both single grains, blended malts and single malts? We want to be able to keep our current portfolio of unique whiskeys and layer in some new and unique bottlings as a result of being fully in control of production over the next number of years. We will be releasing more details of this over the next few months. Do you have plans to experiment with different casks and finishes? Yes we will carry on with experimenting with different marrying, finishing and maturing techniques as wood has such a large influence on whiskey that to be truly innovative we will need to keep playing around with different maturation techniques. The Poitín is steeped in history, and dates back over 1000 years. What made you take the decision to release this? Before there was whiskey there was Poitin and it is amazing how ingrained it was and is in Irish culture. Our aim with our Poitin was to present this in a more modern way and drag it out of the shadows by giving people something they could try in confidence and that still retained the taste and provenance of the illicit kind. We have been lucky enough to be honoured at the Irish Whiskey Awards for the last two years as the Best Irish Poitin so glad to see people are enjoying what we are doing. What are the main responsibilities of your role? At the start I was involved with every little aspect of the business and I still try to keep my finger on the pulse. Since my brother joined me from Beam he has taken on more of the Sales side of things allowing me to focus more on overall strategy, making sure the distillery and general operations are kept in shape however I do find it hard not to keep out of the Marketing side of things!! Busy!!! The role requires plenty of travel to our export customers in particular in the US these days supporting our Importer but it also requires plenty of head space to deal with all the aspects of the new distillery and visitor centre build out. Besides from this we are now exporting to over 30 different countries and have an ever growing range of expressions so there is plenty to keep us all on our toes. Even when I go home things are a bit mad as I have three daughters under the age of 5!! Stephen takes care of Sales and Marketing, did you decide together who would take on each role, or did you just play on your natural strengths? My background is in Sales & Marketing as well having started there in Cooley and being Sales & Marketing Director before becoming Managing Director so I would have a lot of contacts and experience in this space myself. As such it is not such a clear divide as I still deal directly with some customers and like to be involved in marketing direction but Stephen is much better with people management and the likes of social media for example which creates a nice balance between the two of us. Titles in small companies don’t really count for a lot and if you look at our business cards none of them have any titles as we expect to be able to multi-task!! What does Stephen’s role entail on a daily basis? Stephen spends a lot of his time managing our brand ambassador and commercial team as well as dealing directly with many of our distributors. We also put a lot of effort into our domestic market which consumes a lot of his time as well as racking up a lot of air miles due to the nature of the business. Are there ever any drawbacks to working with your brother? Yes and No. You are more brutally honest with each other but there is also a level of trust that is very hard if not impossible to replicate with non-family. You brought in Alex Chasko from Oregon, why Alex specifically? 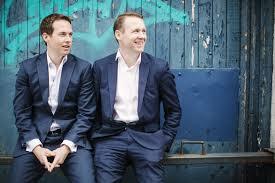 I recruited Alex while in Cooley as our Innovation Manager and then our distillery manager in Kilbeggan. The main reason he is in Ireland is he is married to an Irish lady which brought him to our shores. Alex shares our desire to push the boundaries of what Irish whiskey is and coming from a craft beer background, prior to doing a MSC in Distilling in Harriott-Watt in Scotland, he looks at things differently to many others which is exactly what we want. How much of an impact has Alex had on Teeling, and the whiskies themselves? Alex is currently acting as our Master Blender until the distillery comes on stream and he is integral to crafting the whiskey. Most of the maturation, marrying and bottling techniques we are using has come from bouncing ideas off each other and are all styles of whiskey we want to drink so it is definitely a collaborative effort. I personally sign off on all batches prior to bottling as it does have my signature on the bottling thus I want to make sure each release we have is up to our own high standards. Your latest release is a Single Malt, containing whisky aged up to 23 years. Where did the inspiration for this release come from? What I wanted us to do with this was to produce the most flavoursome Irish Single Malt whiskey without losing its unique Irish whiskey DNA. To add a unique depth of character and flavour, it consists of aged malt whiskey up to 23 years old that has been matured in five different wine casks including Sherry, Port, Madeira, White Burgundy and Cabernet Sauvignon. This combination of cask maturation techniques has never been done before in Irish whiskey and creates a truly innovative Irish whiskey bursting with personality. By the way it took us nearly 6 months of pestering Alex to make the best Single Malt we possible could with near 30 different variations to get to the final result so I hope people like it!! What makes this release, special and unique? This rare special combination of casks creates a very distinctive, rich colour while imparting a vibrant and balanced flavour of dry fruits, citrus, vanilla, spice and cloves. The proprietary maturation and vatting technique produces a very special Irish whiskey of distinctive character while still being remarkably easy to drink. 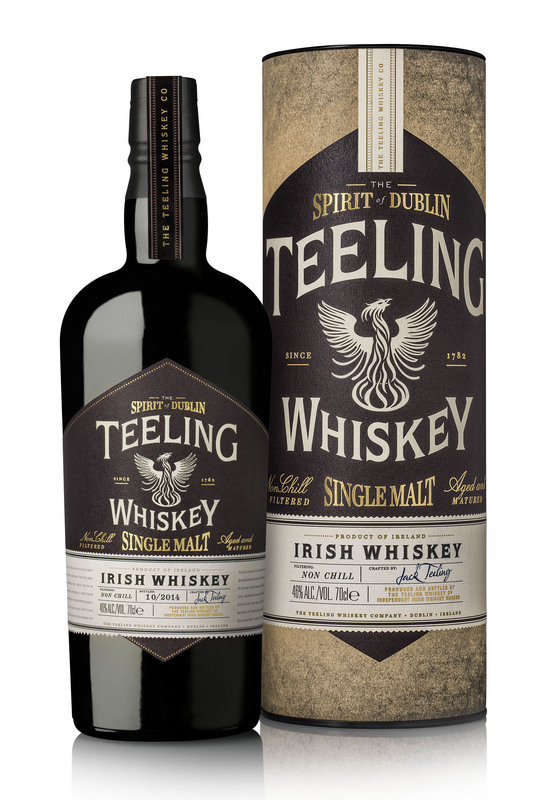 Like all the Teeling whiskeys, it is bottled at 46% with no chill filtration allowing for all the natural flavours of the whiskey to be retained. Where and when can people buy this bottling? It’s has been officially released and is already in a handful of markets this. As such you should be able to pick up a bottle in Ireland, UK, Benelux, Denmark and Switzerland as well as some travel retail and online retailers just in time for Christmas. We expect a much wider rollout in the New Year. Now we have a full family of expressions we want to bed these down with our distributors and the focus over the next short while is getting the new distillery completed so hopefully you guys will hear more about this over the next few months. We are very excited to see the first new pot stills arrive in Dublin in over a century proving that the Spirit of Dublin is well and truly back. That concludes our interview Jack it was great to talk to you. We will be keeping a close eye on how the Distillery continues to take shape. I am now going to review, along with Stewart, the very special, single malt, Slainte! Have you had a chance to try the new bottlings? We’ve tried them and they are good, we are planning to get full reviews up soon. Have you tried them?